Tides is beachside dining at its best - all year round! 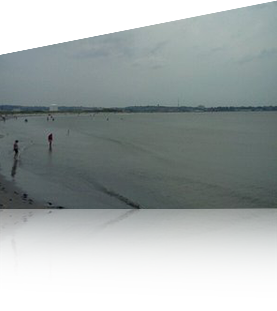 We are located at the end of the Nahant Causeway, directly on Nahant Beach. The ocean views from both the dining room and the pub can't be beat, no matter what season it is! 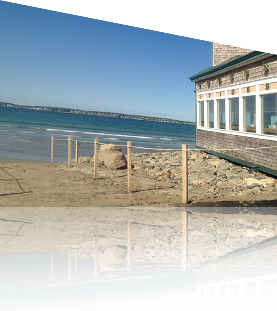 Whether you choose to stretch out in a cozy dining room booth, enjoy a frosty pint at our bar, or chill out on our sun-drenched deck on Nahant Beach, we guarantee you a comfortable atmosphere with great food and service. Our menu is chock full of fresh, high quality seafood, prime rib, chicken, pasta, and pizza items that everyone will love. Nothing says beachside dining like an order of fried seafood, but Tides offers so much more! In addition to our golden fried clams, calamari, shrimp, scallops, haddock, and oysters, check out our selection of juicy 8 oz. burgers, creative Daily Specials, lobster rolls, perfectly cooked prime rib, marinated steak tips, gourmet pizzas and super sandwiches! Feel like eating healthy? At Tides, we pride ourselves on our wide variety of healthy grilled and baked seafood, salads, and sides, in addition to whole wheat sandwich wraps and whole wheat pizza dough. Tides has great options for kids too—with everything from chicken fingers and pizza to grilled chicken and baked haddock. Tides is a great place to kick back and enjoy yourself! Check out our Drink Menu for fun, seasonal cocktails, 30 ice cold draft beers, a wide variety of bottled beers and our well rounded wine list. We offer full service lottery and Keno, with a Keno Contest every Saturday from 12PM-4PM. Is there a big game on? Tides is the place to watch! We have over 20 HD TVs! At Tides, we specialize in casual dining, with food that's just delicious, not pretentious. 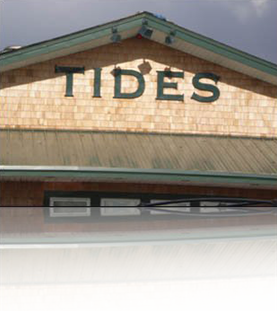 Tides is a fantastic restaurant for you, your family, and your friends to visit anytime - summer or winter, lunch or dinner, rain or shine! Enjoy our extraordinary menu, comfortable atmosphere, and friendly service, and we promise you'll leave happy! Soak up some sun this season while enjoying your food and drinks on our oceanside deck!!! Tides is a BONS Winner!!! Best Lobster Roll & Best Kid Friendly Dining!!! Closed on Thanksgiving Day & Christmas Day. We close at 4PM on Christmas Eve. Copyright © Tides Restaurant & Pub, 2019. All rights reserved.